A decade ago, DVD was the undisputed king, with household penetration for players hovering near 90%, and absolutely every corner of the entertainment industry shuffling out discs to meet demand. Instructional yoga, a college football bowl game from 20 years ago, basket-weaving … no matter how niche the content, reaching just one-tenth of one percent of DVD consumers meant tens of thousands of unit sales. In mid-2018, Nielsen pegged DVD household penetration at just two out of three homes, and statistics aggregation site Statista.com put that number at under 58 percent for those under the age of 30. Meanwhile, more than 85 percent of American millennials are subscribing to at least one OTT service (more than 50 percent have at least two), according to data from Parks Associates. The supposedly non-tech savvy boomers? That’s proving to be nonsense, with more than 50 percent of those in that age group subscribing to at least one OTT service, up 10 percent year over year. 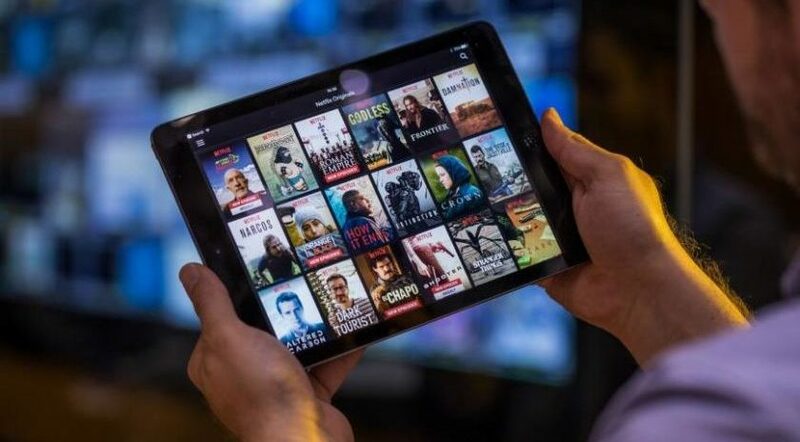 It’s almost all digital, all the time now, with a late summer 2018 Parks report estimating that more than 265 million households worldwide are going to have more than 400 million OTT video service subscriptions by 2022, with 200-plus providers already in the game. Sure, the big boys (Netflix, Amazon, Hulu, etc.) dominate the news, but almost everything niche is there for the taking as well. You want yoga? Hello FitFusion. Everything that’s coming out of Korea? KOCOWA is there for you. Preschoolers can’t pay for content, but their parents are happy to shell out for Viacom- owned Noggin. It’s an immediately gratifying experience for the consumer today. But for service providers it’s a challenge they’re still adjusting to: in this crowded market, one that’s only going to get more crowded as time goes on, how do you attract and retain your viewers, and stand out? Be everywhere: Ooyala’s quarterly Global Video Index Reports are always eye-opening, with mobile video plays constantly grabbing more share away from living room views. As of the second quarter of 2018, smartphone- only video starts surpassed 50 percent of all video views worldwide for the first time ever, up more than 13 percent year over year. For OTT services this means it’s crucial that all apps are offering the same, seamless experience. If a consumer isn’t getting the same experience on their iPhone that they’re used to on their connected TV, they just might start looking elsewhere for their content. And beyond mobile, be on every device … it can be maddening to a consumer that what’s available for their Android phone is nowhere to be found for their gaming console or set-top box. Act on your data: Even the biggest and oldest names in entertainment are still finding their footing in the OTT streaming world, trying to make sense of the mountain of available customer data that simply wasn’t there not that long ago. And if a big broadcaster is still trying to figure out how to act on OTT viewer data models — to reduce churn, target advertising, and deliver relevant recommendations — it’s even more daunting for new players in the market. That’s where the right technology partners come into play, helping content owners make sense of (and react to) the data in front of them. Content is … well, you know: There’s a reason CBS is expecting CBS All Access and Showtime OTT to have 8 million combined subscribers in 2019, numbers that are a year ahead of schedule. There’s a reason subscriptions to HBO Now will spike just ahead of the final season of Game of Thrones. There’s a reason Netflix spends the GDP of small nations on original content. You don’t think Disney’s OTT offering won’t go gangbusters when it launches next year? Compelling — and, importantly, exclusive — content differentiates the winners from the losers in the space. $5.99 a month is perfectly reasonable for those who want to see their favorite romance novels adapted to screen. Acorn TV has survived this long because so much of its original British content slate can’t be found anywhere else. It feels like ownership of Crunchyroll has changed hands a dozen times, and yet it’s been around for more than a decade, because it’s offered more exclusive anime than you could possibly watch in a lifetime. Look at both high-profile and niche OTT players that have exited the game over the years, and — no matter how slick-looking, well-marketed, or accessible — the failure usually came down to a lack of content that resonated enough with consumers for them to stick around. More OTT offerings are on the way, from both major players and niche newcomers. Content worthy of OTT distribution is still out there, waiting to be monetized. And the right segment of viewers are waiting, and willing, to pay for it.